Our passion for wine, goes beyond the standards. Our work is reflected in the quality and elegance of the wine we produce and the close relationship we have built with our customers. We search every wine the perfect balance of its structure, fruit and oak aging offering a portfolio of products for different consumers, identifying their preferences, being present as a family in the different markets and creating long-term relationships. 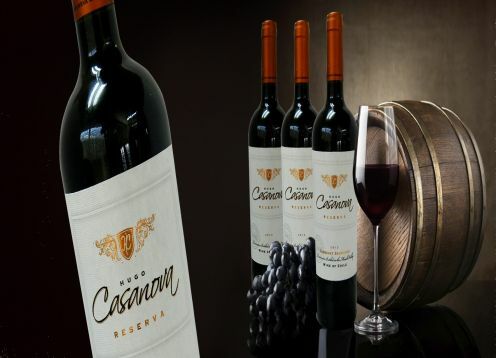 In the late nineteenth century, from the north of Italy, he arrived in Chile the first member of the Casanova family in order to continue in our country, the noble tradition of producing wines of excellence. Eliseo Casanova purchased the estates "Batuco" and "Valle Hermoso" in Itata Valley, where he began his dream. His son Aldo attracted by the exceptional climate of the Maule region for growing grapes, bought "Fundo Purísima" terroir which allows the production of unique and distinctive wines. Years later Don Aldo is succeeded by his son Hugo Eliseo, who takes care of the company introducing new technologies and improving wine production systems of the vines. It is the precursor to the successful development of foreign markets for wine. In 1999 his son Hugo Andrés, who embodies the concept of "boutique winery" and together expand the frontiers of their exports to Europe, Asia and America is incorporated.